2) Before I thought the site couldn't get any worse, couple months later all the sudden I would get automatically logged out after about 24 hours...what is this a banking website? How annoying to see these computer destroying ADS pop up again and have to log in one more time. 3) Surely NOW the worst was over...BUT WAIT, HOLD YOUR HORSES! This morning I woke up to find the LOGIN BAR WAS GONE! That's right! The login bar has disappeared from the header! I had to scroll to the bottom of the page click the SIGN UP NOW button, and from there click to log in. Holy baby jesus, to my dismay the world ending, mind breaking, depression inducing ADS were back in full effect for a brief minute there. Good luck to someone not savvy with computers using this website. I've rewritten this last line about 10 times because I was battling with trying to convey just how horribly engineered this site is, and the fact that there's any funding being asked for it at all. It's disappointing that your EQ database is actually top notch, when everything else is practically unusable by non-members. This is now my benchmark for the bottom of horrible service industry websites. Holy CRAP even the forums are garbage, going back and editing lines in my post makes multiple "edit" messages appear!!! Edited, Apr 17th 2018 8:23am by baxley"
Edit: discovered they can be manually deleted, lovely. A+! 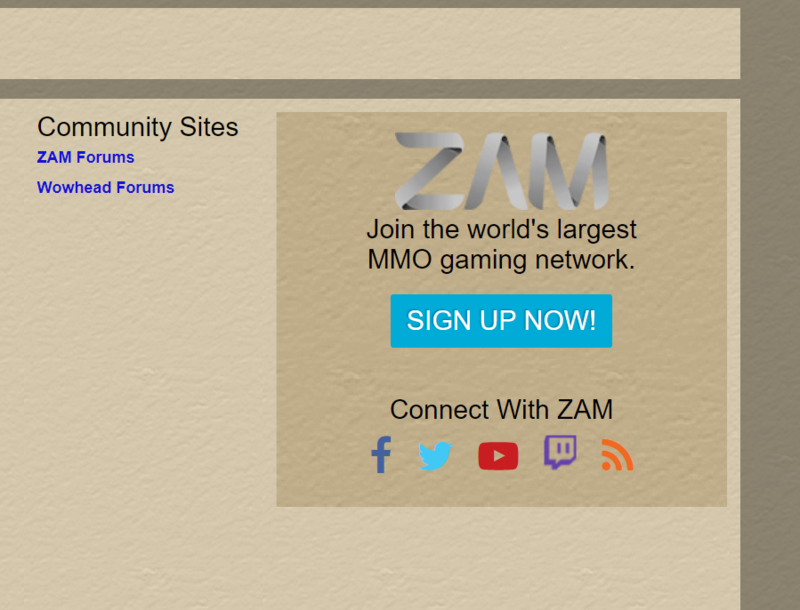 The problem you are having is caused by ZAM's ad platform. These issues have been reported to them. I would try enabling your ab clocker via Firefox in order to browse the site without these issues. If you would like to let them know of the problems you are having, you can contact them here.